This week, Microsoft announced the purchase of Mojang, the Swedish development studio behind the hugely successful indie game Minecraft. Confirmation of the deal, which is valued at $2.5 billion, comes after weeks of rumors surrounding the acquisition between the two companies. The deal is expected to close at the end of 2014. 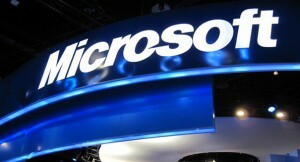 The purchase also signals a departure of the core staff at Mojang, including Minecraft creator Markus “Notch” Persson. Square Enix have announced upcoming action RPG Final Fantasy Type-0 HD as scheduled for release on March 17, 2015 for North America, March 19, 2015 for Japan, and March 20, 2015 for Europe. In addition, the company has confirmed that a downloadable, playable demo of Final Fantasy XV will be included with Final Fantasy type-0 HD as a special bonus. The demo, titled Final Fantasy XV- Episode Duscae, will include elements from the opening sections of the full game, allowing you to explore dungeons and even getting behind the wheel of a vehicle. In Final Fantasy Type-0 HD, players are transported to Orience, a dark world governed by crystals and torn apart by war. They must use the powerful abilities and magic of all fourteen characters, in fast-paced action-RPG combat, to uncover many secrets. Check out the trailers below for a glimpse into these upcoming Final Fantasy worlds. Final Fantasy Type-0 HD will be priced at $59.99. More information on the game can be found here. The Playstation 4 and Xbox One versions of the upcoming wrestling title WWE 2K15 have been delayed by three weeks and will launch on November 18th. According to a statement released this week by 2K Sports, the Xbox 360 and Playstation 3 versions of the game have not changed and will still launch on the original October 28th date. Greg Thomas, the president of 2K Sports’ in-house developer Visual Concepts, said in a statement: “The additional development time enables our talented teams to ensure the WWE 2K15 next-gen experience fully meets our expectations.” This iteration of the series marks the debut of the title on Xbox One and PS4. 2K Sports gave no specific reasons beyond Thomas’ statement for the delay, but more information can be found at their website . 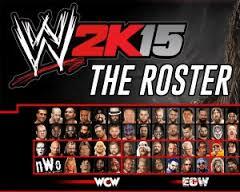 WWE 2K15 has brand new features, including an all-new MyCareer mode, where players can take their custom superstar through an unprecedented WWE career spanning hours of gameplay. A new gameplay trailer is scheduled to be released next week. 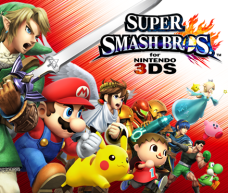 Nintendo have released a playable demo for the 3DS version of the new Super Smash Bros, according to the company’s website. The demo includes support for local multi-player, and, as is the same with other Nintendo demos, the game can only be opened 30 times. The same 5 playable characters as were already seen in the Japanese demo release are available: Mario, Link, Pikachu, Villager and Mega Man, with only the Battlefield stage to fight on. The other 45 characters are available upon release of the game on October 3rd for North America and Europe. You can grab the demo today free of charge from Nintendo’s eShop. You will need a wireless internet connection and have a Nintendo Network ID to get started.